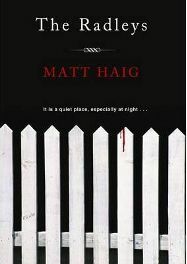 Speaking as someone who cannot find much interest or enthusiasm for the currently popular Twilight/Vampire phenonomen, it seems strange that I found myself reading this new novel about a family of vampires by Matt Haig and perhaps stranger still was the fact that I actually enjoyed reading it! From the start of the book, it is obvious all is not right in the lives of the Radley family and it quickly becomes clear that Peter and Helen are abstaining vampires and their teenage children have no idea about any of this! Although Rowan and Clara lead normal lives and are unaware they are vampires, they do wonder why they often feel ill and weak and have to cover up with high protection sun block when outside during the day. Whilst Clara has a close friend and seems to mix with others, Rowan is a bit of a loner and his classmates see him as a bit of a freak. Their parents believe they can all live a ‘normal’ life, abstaining from being vampires, even though it is not easy. And as for Rowan and Clara, well they don’t need to know the truth about who they are. Whilst Helen struggles to keep a sense of normality to hold the family together, Peter, who is a GP, is on hand to offer believable explanations for Rowan and Clara’s sensitive skin and feelings of nausea and weakness by telling them they suffer from ‘Photodermatosis’. However, you just know that eventually something will happen and the Radleys will be forced to stop denying who and what they really are. And of course it is a massive shock for Rowan and Clara as they are all thrown into the world of blood lust and their lives become a bigger struggle than before, when a local boy’s body is washed up on the beach looking like it has been ravished by something inhuman. I think what held my interest in The Radleys was the fact that the story features a family of ‘abstainers’ desperately trying to lead a normal life and blend in well with their neighbours and surroundings. A prominent feature in Peter and Helen’s life to help them with all this is The Abstainers Handbook, which features often in the story and contains little gems such as: “If blood is the answer, then you are asking the wrong question” as well as plenty of advice on what to do to prevent succumbing to the urges that are never too far away and other useful tips, such as how to look after your skin, ie : eat plenty of carrots! I felt a lot of sympathy for Rowan and Clara and the confusion they feel as they both try to come to terms with who and what they really are. The author describes their feelings and emotions really well. Rowan seems a sensitive lad, but Clara is quite headstrong and they both have different feelings and thoughts. Matt Haig manages to combine their teenage emotions very well and a good example of this is as Peter tries to explain to Rowan they didn’t want to hurt him and being a vampire isn’t as weird as he may think. As he points out that they have reflections, you can’t help but feel for Rowan as he asks what is the point of having a reflection when he doesn’t know who he is anymore? It is also hard not to feel sympathy for Helen too. She was converted to being a vampire years ago when young and in love and seems to have deeply regretted her decision. She also has a dark secret herself and things become a lot clearer when it is revealed. Out of all The Radleys, Peter seems the most unconvincing as an abstainer. He certainly seems to struggle the most with his inner desires which are always simmering just below the surface, threatening to take over. Things are not helped either by the appearance of his brother Will, who has never abstained and enjoys toying with the family’s emotions, particularly Helen’s. He is a flamboyant and interesting character who is getting more and more careless as the years go by. We also read of the neighbours and friends thoughts about the Radley family. It would seem at first that nobody is at all suspicious of them, except for cruel teenagers who think Rowan is a freak, but even then, they have no idea who he really is. It only takes one thing to happen though and the ensuing events see people’s perceptions begin to change. What would it take for you to suspect a family of vampires were living next door? The Radleys was an easy book to get into and has great readability. Even if you are not into vampire novels as such, you may still find this a good read as it offers a different slant on this genre. The character development is brilliant and Haig makes them interesting enough to ensure you care about them and thus get you hooked on wanting to know what will become of them. The Radleys is a portrait of an extraordinary family who have ordinary emotions and explores what we gain and what we ultimately lose, if we deny who we really are. I was surprised just how much I enjoyed it! Thanks to Canongate Books for providing a free review copy. No Comments on "The Radleys"